Discover the best foods to prevent stroke and the foods you should avoid. Plus, see what other lifestyle changes can reduce your risk of getting this deadly disease. Stroke kills about 5 million people worldwide per year. It’s the leading cause of permanent disability in the U.S. And it’s a rapidly growing threat for middle-aged women in particular. Basic lifestyle changes can have a big impact in reducing stroke risk. 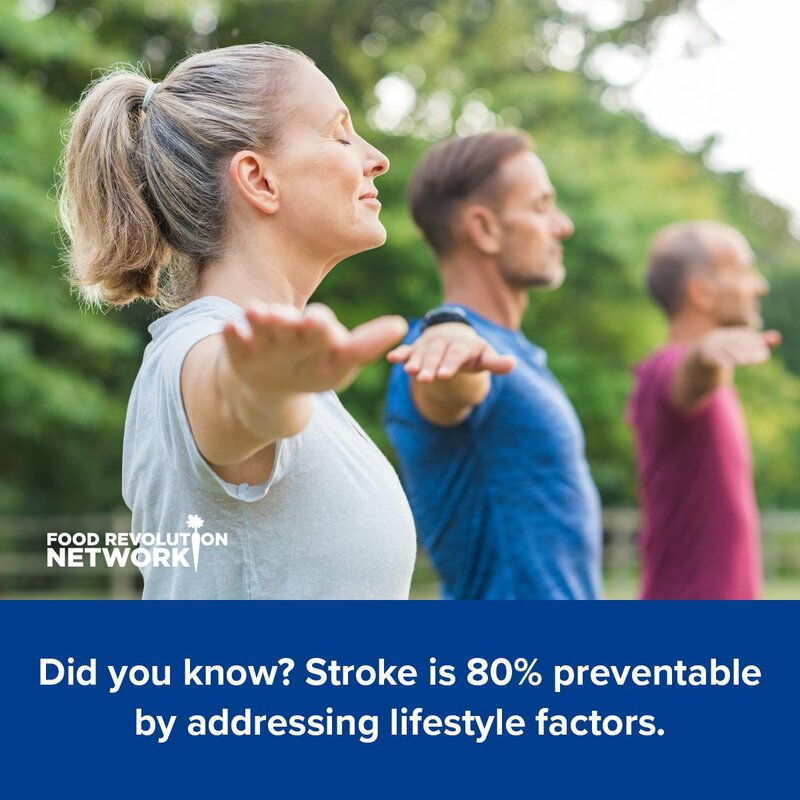 In fact, according to research, stroke is 80% preventable by addressing lifestyle factors, including improving diet, stopping smoking, and getting regular exercise. According to Food Revolution expert Michael Greger, MD, the best way to avoid suffering from a stroke is to eat a whole food, plant-based diet centered around vegetables, lentils, beans, seeds, whole grains, fruits, and nuts. But to get the full benefits, plant-strong eaters must have a regular, reliable source of B12 — meaning B12-fortified foods or supplements. In one study, adding an ounce of nuts per day seemed to cut the risk of stroke in half. In the U.S. alone, this could prevent 89,000 strokes per year. According to population studies that followed people over time, those who ate chocolate appeared to have lower rates of stroke. But the sugar and dairy that come with most types of chocolate aren’t linked to positive health outcomes, so dark chocolate with high cacao content is the best choice. 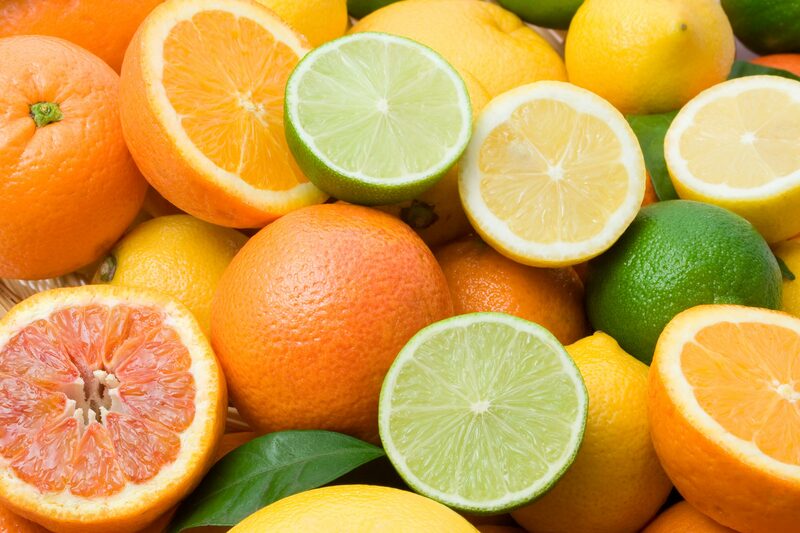 Citrus intake has been associated with lower stroke risk. According to a study of 70,000 women published in the journal Stroke, women who consumed the most flavonoids from citrus fruits over a 14-year period had a 19% lower risk of stroke than women who consumed the fewest. Eating whole grains has been found to be associated with a reduced risk of stroke. In his book How Not to Die, Dr. Greger recommends at least 3 servings of whole grains each day for stroke prevention. Garlic is a great choice for reducing stroke risk. A human study found that regular garlic consumption resulted in a 50% reduction in rates of stroke. High levels of lycopene, which is found in tomatoes, may be associated with a significantly reduced risk of stroke. 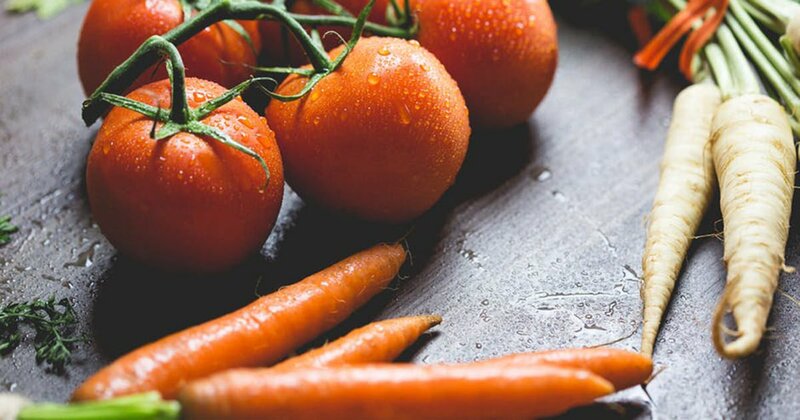 According to an analysis published in Neurology, which followed more than 1,000 Finnish men aged 46 to 55, those with the highest lycopene levels were 55% less likely to have a stroke. The results of a 13-year study of more than 80,000 Japanese adults found that those who drank at least one cup of coffee a day had a 20% reduced risk of stroke. 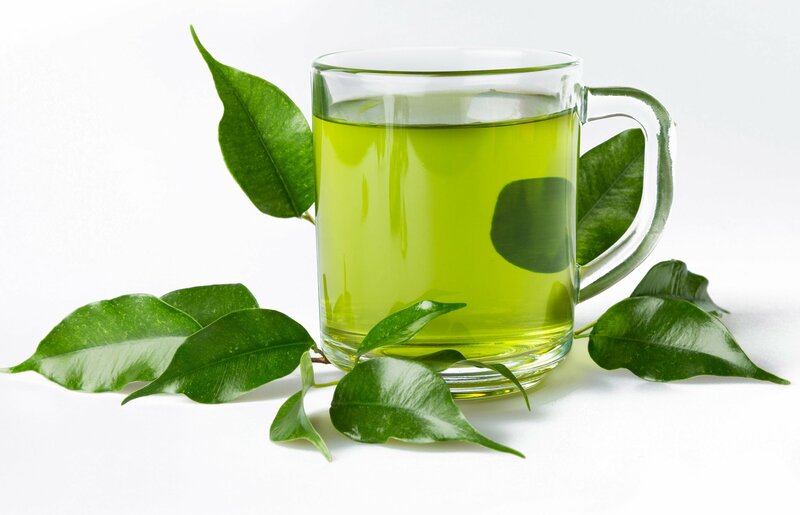 And those who drank 2 to 3 cups of green tea daily had a 14% reduced risk of stroke. Eating more potassium-rich foods is associated with a significantly lower stroke risk. In one study, a 1,600 milligrams per day increase in potassium intake was associated with a 21% lower stroke risk — and this amount didn’t even bring many study participants to the minimum daily recommendations. But less than 2% of Americans reach the daily potassium intake because most people don’t eat enough unprocessed plant foods. Potassium is abundant in fruits and vegetables. Greens, beans, and sweet potatoes are excellent sources of potassium. According to a meta-analysis of studies, higher magnesium intake is associated with a reduced risk of stroke. 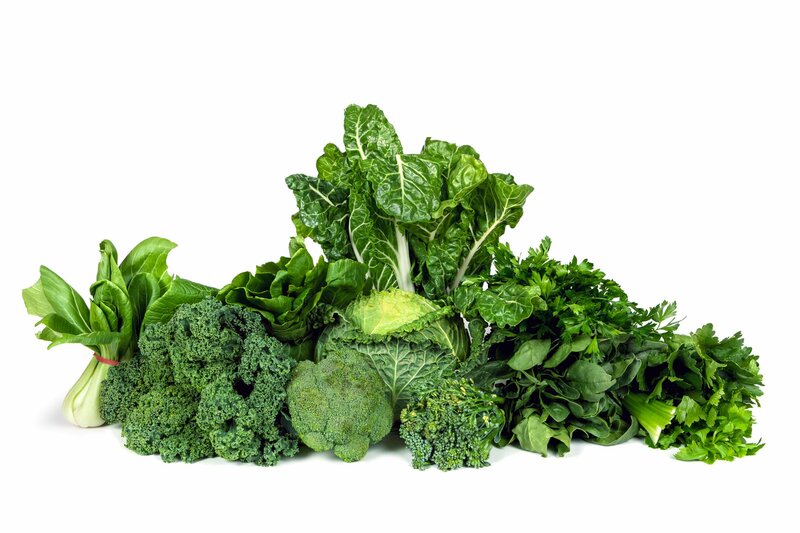 Beans, leafy greens, and whole grains are all loaded with magnesium. The standard Western diet has been found to be associated with a 58% increase in stroke risk. Uric acid is a compound produced by your body when it breaks down certain foods. Too little uric acid is associated with stroke. People on dairy-free plant-strong diets are most likely to hit the sweet spot in terms of optimal uric acid levels for longevity. So this is one of the reasons limiting or cutting out dairy can help reduce your risk of stroke. A meta-analysis on meat found a 10% increased risk of stroke associated with each three-and-a-half-ounce daily portion of red and processed meat. The heme iron in meat has also been found to be associated with stroke risk, while no association was found between the non-heme iron in plants and stroke. Another factor may be the toxic pollutants, like PCBs, that can build up in animal fats. People with the highest levels of these pollutants in their bloodstream increase their odds of stroke by as much as eight or nine times. Research presented at the American Stroke Association’s International Stroke Conference showed that people who drink just one diet soda a day may increase their risk of stroke by 48%. Exercise is medicine, and regular exercise can help you prevent stroke. In fact, researchers at the London School, Harvard, and Stanford found that exercise worked just as well as drugs for stroke (and heart disease) treatment. But how much exercise do you need? Most health and fitness organizations advocate walking an hour 5 days a week. If you’re overweight, even losing 10 pounds can have a substantial impact on your stroke risk. If you want to reduce your risk of stroke, getting the optimal amount of sleep regularly is important. Researchers at the University of Alabama found a strong link between getting less than six hours of sleep and a greater incidence of stroke symptoms for people over 45. According to scientists at Harvard University, people with sunny dispositions are far less likely to suffer from strokes or heart attacks. Studies found a 50% reduction in cardiovascular disease for those who scored highest for optimism and vitality. Low levels of vitamin D increase your risk of risk. According to one study, low levels of vitamin D doubles the risk of stroke in Caucasians. You can increase your vitamin D levels with exposure to sun, supplementation, or by eating vitamin D-fortified foods. Strokes typically occur without any warning at all, so prevention is critical. If you want to avoid suffering from stroke, consuming a variety of whole, plant-based foods and eating fewer animal products and processed foods, along with exercise, getting enough sleep, releasing excess weight, and staying positive can go a long way in helping you achieve this goal. And if you have high blood pressure, these foods may be able to help you. Tell us in the comments: How do you use food and other lifestyle practices to prevent stroke?